Do you believe in love at first sight? I Do… My first love – The Tiger. Or should I say – “The Tigers” and “Wilderness”. My journey started in Ranthambore and continued to Bandhavgarh, Corbett, Bharatpur, Kanha, Nagarhole, Kaziranga, Bandipur, Chambal, Sariska, Dudhwa, Pench, Mudumalai, Nameri and its still on. What happened en-route? Well quite a few things. I had worked in the hotel industry for a pretty long time and while traveling with clients through beautiful jungles I fell in love with them. 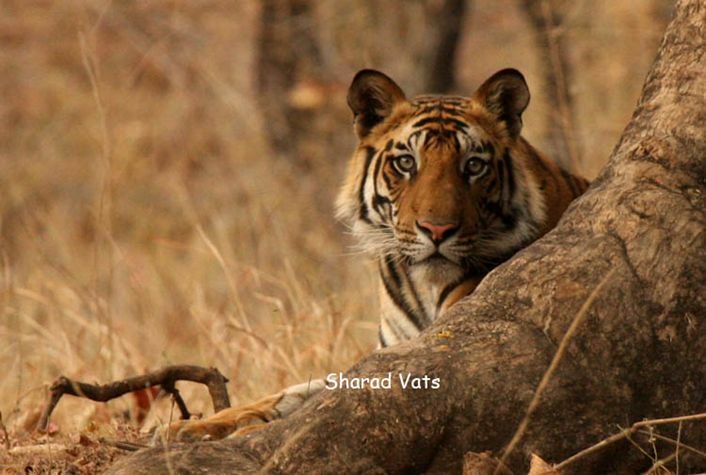 My camera held me in good stead; capturing some breathtaking moment with Tigers, which even pros would die for. As time passed my entrepreneurial urge grew stronger and stronger. 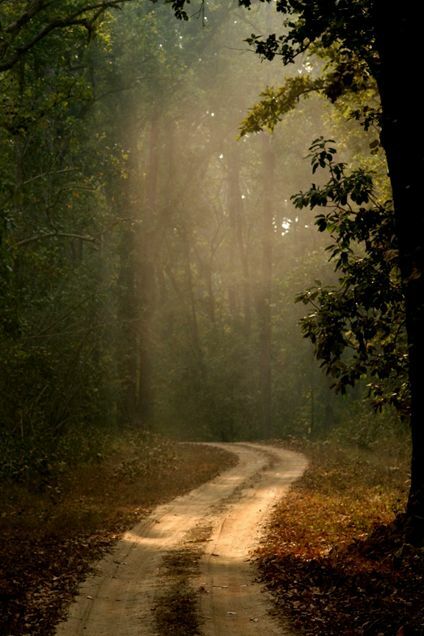 Finally I felt my job and after scouting for the perfect place found my dream land in Kanha. There I built my first wildlife lodge-Chitvan, Kanha. Throughout my life I’ve been fascinated by Tigers. Slowly as I started spending more & more time around these magnificent beasts, I started understanding them better and with that understanding I came to know myself better as well. If you think about it, you can easily identify the traits of a Tiger with that of a CEO of a company. Let me run you through my observation and you will see my point. Let’s take the most important aspect which allows the Tiger do dominate his territory Fitness. It’s a quality shared by any CEO. To run a company he has to be physically & mentally fit to handle the reigns of the company and take informed decisions. Another characteristic is ‘Adaptability’. Tiger is one predator that’s perfectly adapted to various terrains be it the swamps, grasslands, snow or water. Similarly the CEO of a company needs to adapt to the ever-changing international scenario where the competitive advantage of any company can disappear overnight. ‘Eating Right’ is another trait which is essential for both to keep them in perfect fighting condition. The Tiger generally covers more that 10-15 miles of his territory every day. A CEO also needs to keep ‘Patrolling’ to judge the market sentiments and make sure the company isn’t losing ground. Hunting, Ambush, Concentration; all discreetly are the traits of any predator on the top of his game. A Tigers success rate is only 10 % but it always gives its cent percent. This is what any shareholders of a company would expect from the CEO; that he gives his heart and soul in all that he does. Note : The above is a write up of a great presentation given by my dear friend Sharad Vats. At the subconscious level something must have happened in school which made by brain stop me going back there. In school I was the guy with average IQ, sandwiched between friends to whom studies was a walk in the park. Over all I would say school was a very enjoyable phase in my life, which makes me wonder why is it that I’ve not kept in touch with more of my school friends and teachers or attended any of the alumni meets, albeit being in Delhi all these years. So it was a pleasant surprise when out of the blue I get an invitation on Facebook to attend the wedding of two of my school mates. I was thrilled that at least someone did remember me even after such a long sabbatical. I congratulated my friends and promised I wouldn’t miss it for the world. I would be meeting my school friends after nearly ten years. Once the ceremonies were done and the bride & groom were having the customary dinner with close family, Anuradha couldn’t stop herself and joined the party happening on the dance floor. The last song played by the DJ was the song which is a rage now ‘Kolaveri’. In the end the blessed couple too didn’t want the party to end and fervently insisted that all of us come again for the reception. Let the party continue….